Intentional subterfuge or rank incompetence? Those are the only possible explanations for Parish Attorney O’Neal Parenton’s latest attempt to game the system and betray the citizens who pay his salary. (1) Can Ascension Parish through a Charter Amendment make the Planning Commission advisory only for consideration of Major and Minor Subdivision approvals? (2) Would a vote to override the decision of the Planning Commission require a two-third’s (sic) as provided by La. R.S. 33:109? If the answer to No. 1 is affirmative, then No. 2 is irrelevant. Should the voters of Ascension Parish amend the charter shifting authority over subdivision approvals (just like their neighbors in Livingston Parish did by the way) to the Council, then the Planning Commission could make no decision to be overridden by the Council. All the Commission could do is make a recommendation to the Council. It could not be much clearer. We believe Ascension voters, given the opportunity, would overwhelmingly take approval power over subdivisions away from the Commission, and charge the elected council with that responsibility. O’Neal Parenton has attempted to rig the outcome against the peoples’ wish at every stage. 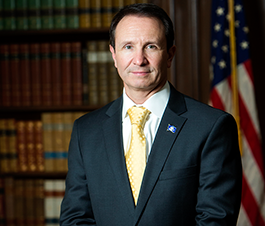 On October 11, 2018 the Council’s Strategic Planning Committee recommended a resolution to the full Council seeking an opinion from Louisiana’s Attorney General with regard to that simple question: Can Ascension Parish through a Charter Amendment make the Planning Commission advisory only for consideration of Major and Minor Subdivision approvals? If the commission lacks the authority to disapprove how would it be possible to overrule such disapproval? 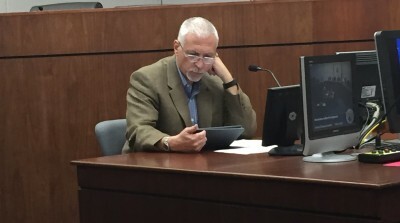 Seven days hence and the full Council approved a pre-prepared letter from Parenton which included the single question; “Can Ascension Parish through a Charter Amendment make the Planning Commission advisory only for consideration of Major and Minor Subdivision approvals and would that require a two-thirds vote of the Council? (Parenton unilaterally added the verbiage in bold font). Who does O’Neal Parenton work for? Who is directing his subterfuge? 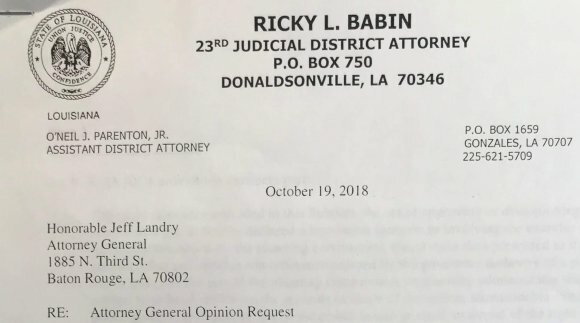 The letter went out on DA Ricky Babin’s letterhead, but the Council adopted the resolution. In the past Parenton has proven a lackey for President Kenny Matassa. We suspect Parenton is merely a symptom of the diseased governmental body.